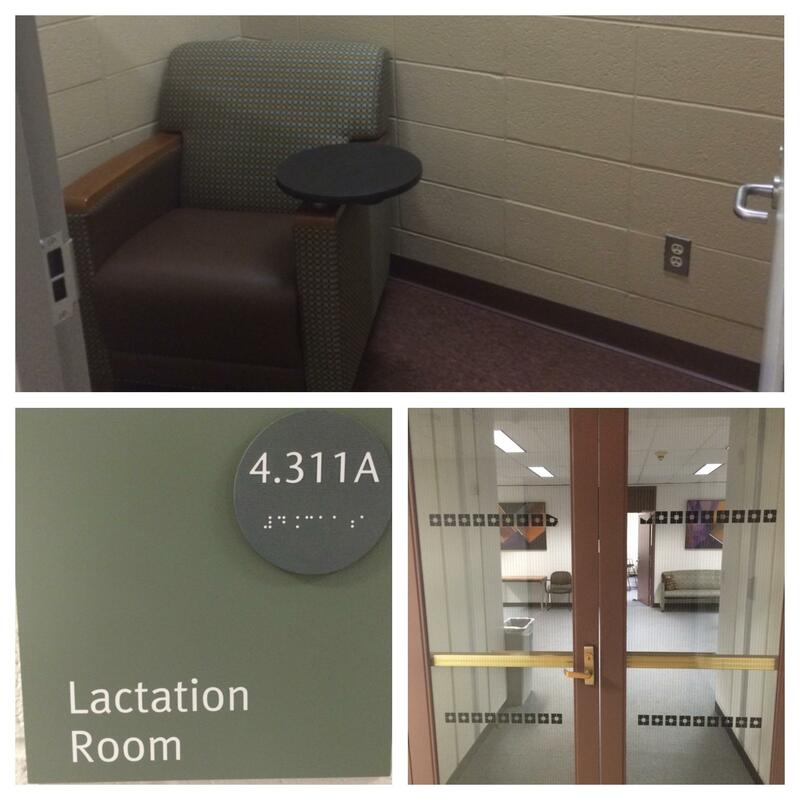 Lactation Room within women's restroom, but separate from stalls. Includes chair, outlet. Door closes for privacy, but there is airspace at the top of the wall, so really it's "semi-private." Rarely used because no one knows about it. Available to public, though finding nearby parking would be a huge pain! Otherwise best suited for those already visiting or working on the River Campus.